The Hyundai Elantra has been refreshed for the 2019 model year. What does that mean? While not exactly redesigned from the inside out-like the kind of overhaul that would launch of new generation of Elantras-a refresh is the next best thing. For 2019 Elantras in particular, there are interior and exterior styling updates, as well as some changes to technology. The Elantra's new standard features include a rearview camera and 5-inch display screen, and new optional features include driver drowsiness monitoring and wireless device charging. The Ford Focus, another compact sedan, has also had a major redesign for 2019. But that model isn't available to the public yet and its particulars are pending. So we'll stick with the 2018 model in this comparison guide. Sit back and strap in as we highlight what's changed over the old generation. One of the best things about owning a compact car is the money you save at the pump. And the Elantra is no exception. In fact, it does better than most. The Eco trim level gives you a fuel-sipping engine that translates to 32 city miles and 40 highway miles per gallon. Even the Elantra's base engine gets 28 city and 37 highway mpg. So fly by those gas stations on your way home from work or play. You'll be seeing them a lot less often. By comparison, the 2018 Ford Focus gets 30 city miles and 40 highway miles per gallon. The Elantra is certainly better in stop-and-go traffic. That difference grows when you compare base engines, since the Focus's gets 26 city and 38 highway mpg. That's slightly less than average, which dilutes a feature of the compact class. Don't think you'll be cramped in a compact car either. Elantra proves it doesn't have to be that way. The Elantra has 5 extra cubic feet of passenger space over the Focus, which means more headroom, legroom, and shoulder room. 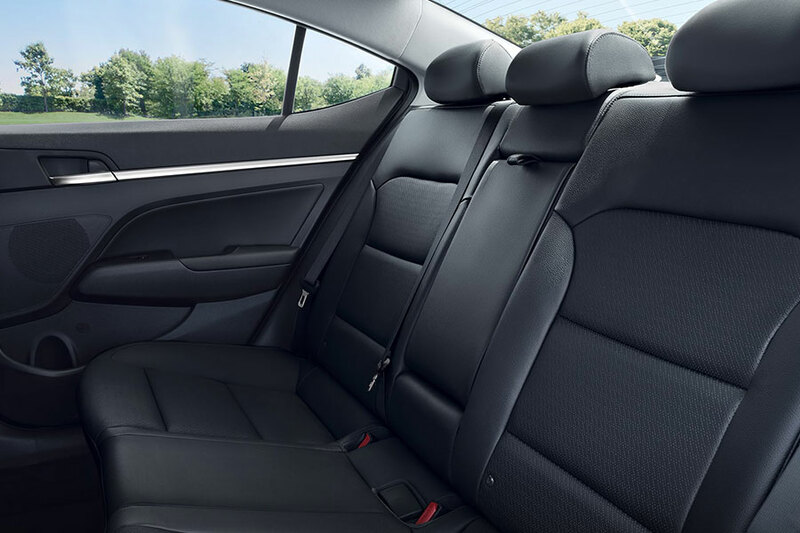 Even the Elantra's back row passengers will enjoy a few extra inches over the Focus. Korean automakers are known for two things: abundant tech and outstanding warranties. And, boy, does Hyundai deliver one amazing warranty. That gives you peace of mind knowing that if something breaks down in your car, you can take it back to a Hyundai dealership for service for years to come. The Hyundai basic warranty lasts for five years or 60,000 miles, or 10 years and 100,000 miles on the powertrain warranty. There's a good chance you might not need it much though. 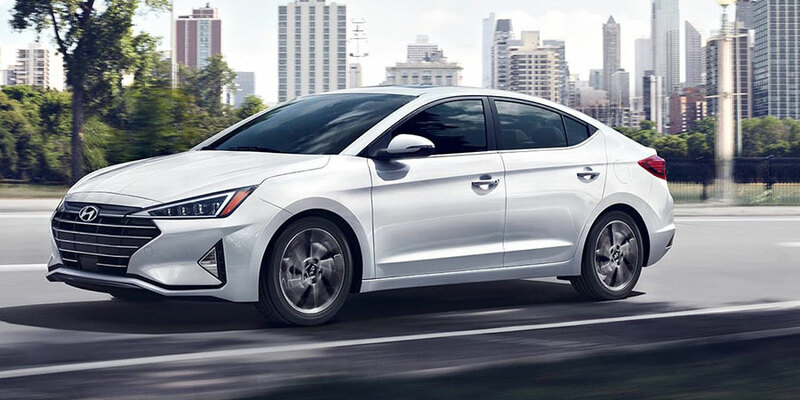 Because the 2019 Hyundai Elantra earned an above-average 4 out of 5 reliability rating from JD Power and Associates. While the Ford Focus has the same reliability score, its warranty coverage is almost half that of the Elantra's. Ford's warranty is only a three-year or 36,000-mile bumper-to-bumper warranty and a five-year or 60,000-mile powertrain warranty. We haven't even touched on price (the Elantra starting price is more affordable) or cargo space (the Elantra has a larger trunk). Suffice it to say, the refreshed 2019 Hyundai Elantra is the better compact car. Time will tell if the 2019 Ford Focus can catch up.